As the holiday season gets underway…time for races gets trickier. For me anyway. My weekends are completely packed. I am going to be involved in the opening of a local running store. YES! That's right. I'm going to be working in a running store. And the name of the store is Rail Trail Run Shop. To say I'm excited is an understatement. Then the same weekend, I have both of my nieces's birthdays to get to on the same day. After that, each weekend only gets crazier. I want to do a December race, BUT, unless a race director wants to go around my schedule, it probably won't happen. Woah, wait. I know a race director that allows you to go around your own schedule….. JOST Running! AND, you get to choose your distance - 5k, 10k, 13.1, or 26.2. 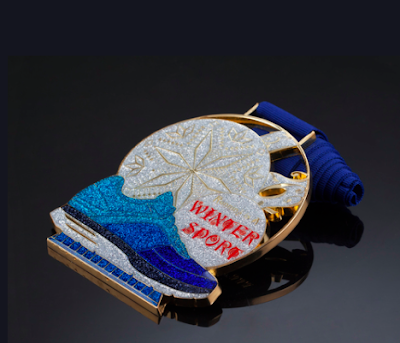 Oh and you get a great medal as well! Oh, okay! I guess I can do a December race. On my time! Woohoo! I just need to decide which "race" I want to do. And guess what? One of you gets to choose too! 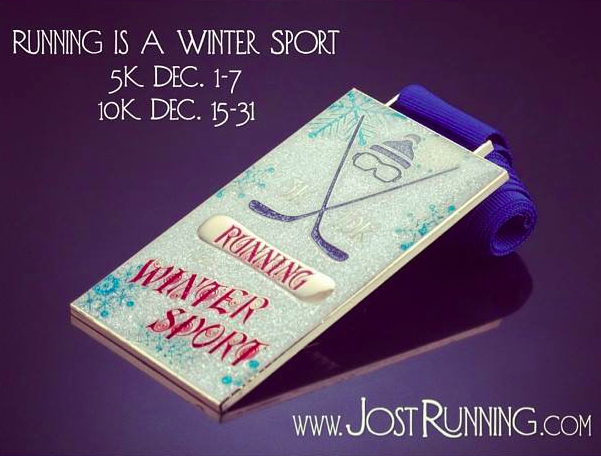 The ladies at Jost Running have offered my readers a chance to win a virtual race with Jost Running. Yay! Enter below for your chance! I'll announce my winner on December 2nd. A little late….but if you want to do the 5k, you will still have time! I think I'd choose the half marathon. I think I'd be up for a 10k. I have a half marathon in December and another two in January already. I would like to do a full marathon.